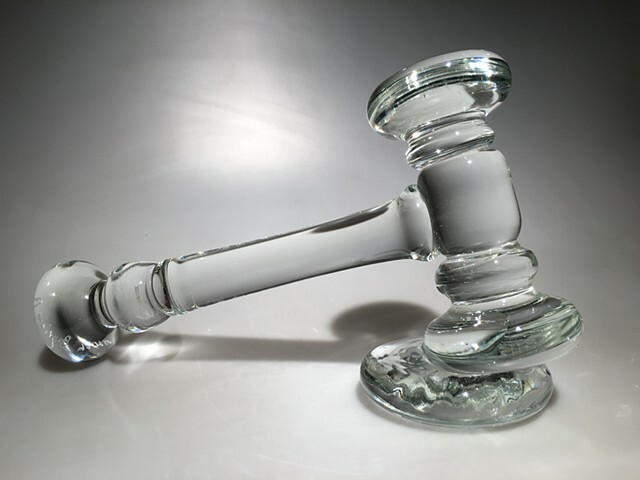 The Gavel was made for the Bay View Hunters Point Legal Association during a live hot glass demonstration event held by Public Glass for the Legal Association. The Gavel was auctioned off live while still in the hot process just before completion. Pricing and commission available upon request through contact form.